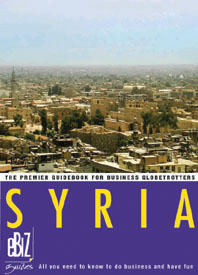 eBiz guides can be your key in unlocking a wide array of economic opportunities worldwide. We research and investigate in emerging countries worldwide so that you donâ€™t have to providing you with a cutting edge guide presenting different sectors and giving basic facts and information on the range of diverse countries that we have visited. As well as this, we also give an insightful overview on the leisure and tourism industry so that once the business is done you can enjoy the rest of your trip. Are you thinking of taking a business trip to an emergent country? Business opportunities surround us, so what better way to check them out than visiting each country directly? However, business travel can be ineffective, unnecessarily long or even dangerous if you do not have adequate information. For this reason, eBiz Guides is the key to avoiding these problems. We have agents based in our countries of choice who source information through interviews, thorough research and official date from each country. Why are eBiz Guides better than any other guide? Complete, extensive and updated information: know in advance what, where, when, how and with whom. First-hand resources: Our agents have a privileged network formed of: companiesâ€™ presidents, CEOs and senior executives from the main companies as well as key personalities from the government and the ambassadors from most countries. Analysis and Research: Information is useless without the appropriate analysis. As we update our guides on a regular basis we have an in depth knowledge of the market. Leisure: A comprehensive presentation of the activities and culture you will encounter in your destination.